This month over at Scribbit, the September Write-Away Contest theme is Learning. I’ve spent a lot of time on this site working to provide content to my readers, but this is the entry where I commit to work on learning what I don’t know well: the source of the tea I love and how my decisions affect others. Seemed the entry to enter. Be sure to visit Scribbit and enter one of your own, if you like! 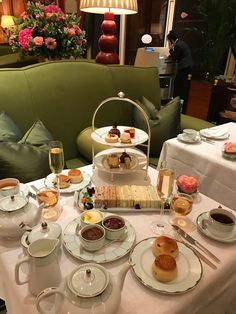 Ladies and Gentlemen, I feel I must take a moment to mention how important it is to remember the people behind our tea parties and the “stuff” we accumulate to host them. Earlier this week, I attended a tag sale of a woman in my neighborhood. She began collecting tea party “stuff” without reservation 5-6 years ago and decided it was time to purge and hold a sale. Her loss was my gain (I picked up about $50 worth of teacups, Christmas decorations, and books), but I wish I could show you a picture to help you understand the amount of STUFF she marked for sale. The sale FILLED her garage, driveway, side yard AND spilled over substantially into the cul-de-sac where she lives. As a clutter-phobic, I was horrified. But her reality is disposable income, raised children, a husband who doesn’t fight her, and a three-bedroom home she turned into a storage unit. Her passion became the tea party, hosting them in her home, and she–as we say out West–“went whole hog” buying everything she could find that struck her fancy. Yes, I hate clutter, but more than that the scene before me broke my heart because of what it represented in the big picture: a lack of wisely-used resources to accumulate stuff that ultimately became a burden instead of a blessing. It represented stuff for landfills (imagine the amount of packaging this one household threw away!) shipped from countries far away, with almost all of it carrying little worth in the long-run (in other words, nothing one would show visitors when they came over…”This is my grandmother’s, handed down from her grandmother, that I intend to give my granddaughter”. Lately, when I type “tea” into Google News, the majority of stories involve the struggles tea plantation workers face. As I read, I don’t completely comprehend the problems or the local government’s solution. But I do know it would be easy to ignore, continue to buy what I want, and hope for the best. Choosing to be informed is the “harder” road, but more and more the only way my conscience will let me be. I am not an expert on our growing global economy by any means. But I know enough to recognize that the tea I love to drink cannot be grown locally and needs to be shipped, most likely, from continents away. This means a number of things, including different government labor laws and possibly questionable environmental practices. Be prepared to ask a few key questions of your tea suppliers. “Do you have any information about the estate workers this tea comes from?.” If they don’t, see if you can at least learn an estate name and look it up on the Internet. Some tea plantations are all-in-one communities with housing and schooling on the estate grounds. That’s my goal, to find out which ones these are and how to buy that tea. When shopping for wants, try to buy second-hand, from artisans, or know the origin of the product. I don’t know for sure, for example, that factory workers in China are being exploited for my “Made in China” item, but I would rather own one antique Wedgworth teacup than ten “Made in China” cups from Target until I know for sure. Invest in microfinance in tea producing countries. Microfinancing is an economic term I only recently learned about, but it basically provides seed money for the poor to become entrepreneurs all over the world. If microfinance can support a family in India who wants to work in the tea business, I want to support that! It is possible to love things of beauty AND be environmentally aware and economically smart, choosing our purchases carefully. It takes more work, but will you join me as one of the informed? I will continue to research and share with you what I learn about the best way to support the tea party economy the best way we can. Purchasing tea is truly an affordable luxury. A few extra pennies for fair trade tea makes minimal difference to us, but a world of difference to the tea pickers. We have been talking a lot about these very things in our household. I loved that book! I couldn’t read it all before I had to return it to the library but even the first half was very good. A great post – thankyou! Sometimes finding fair trade tea can just feel too hard, especially when there is much less variety from shops like Oxfam than there are from profit-based companies. However, this is a good reminder to keep trying. I guess that the more we demand fair trade tea, the more the traders will see that there is a viable market, and produce a bigger range. I am only just realising how big an issue this is, so thankyou for your useful suggestions! Yes! Yes! Yes! A great post! YAY! Thank, everyone, for your comments and encouragment. As I wrote to Melinda, I know companies are struggling to deal with the higher demand for fair trade in general. I hope it doesn’t get super-politicized like getting the label “organic” has become. I am not yet ONLY buying fair trade tea, but comitting to asking the right questions. Thanks for entering, sounds like you learned quite a bit.